A wolf and a sheep fall in love. 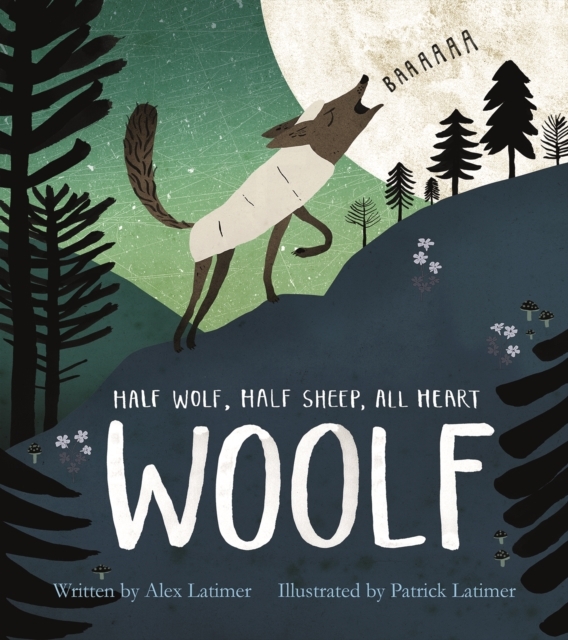 They have a son that they call Woolf - he's half wolf, half woolly sheep! This is Woolf's story. It's not easy being different - not quite fitting in with one group or another. When Woolf tries to impress the wolves, he finds it fun for a while, but they're a bit too wild. When when he tries to follow the sheep, he finds it all a bit, well, boring. Can Woolf find his own way in life and make his own friends that like him for who he is, not who he's trying to be? Woolf's mother is a wolf, and his father is a sheep. No wonder it is not easy for him to understand where he belongs. After trying out some experiments, and with the help of his parents, he will finally understand who he really is.